Staff at a police station in central London have encountered violence and racist bullying, an internal Scotland Yard investigation has found. 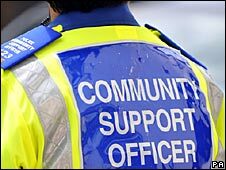 Many police community support officers (PCSOs) in Belgravia were afraid to speak out and some were assaulted or threatened by colleagues, it added. The review was submitted to an employment tribunal brought by a PCSO. He said there was an "apartheid" system at the station with separate vans used to transport black and white officers. 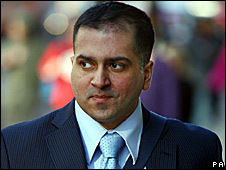 Asad Saeed claims senior Metropolitan Police officers at Belgravia station "turned a blind eye to racism". He was dismissed after allegedly assaulting a homeless man at a fast-food restaurant near Victoria station in central London, tribunal documents stated. The report said there was "no doubting the credibility and consistency" of employees' accounts. Mr Saeed's claims centre on two colleagues who have since resigned from the force, who faced charges of gross misconduct. "It was obvious that there was an established racial divide," he added, saying that this became apparent "a week or so" after he joined the Metropolitan Police as a PCSO in January 2007. One colleague who was a van driver would refuse to pick up PCSOs who were not white, Mr Saeed alleged. "At first I thought he was just anti-social but very soon I started to think it may have something to do with me being the only Asian Muslim on the team," he said. "I found it humiliating and disturbing whenever I called him on the radio and he would not answer. "The airwaves were public as well, so everyone knew it was going on." A second PCSO, Peter Campbell, said he also witnessed racism and inappropriate behaviour at Belgravia police station. "It felt as though sneezing was an offence if you were not white," he said. He described a stormy evening in 2007 when non-white PCSOs were told to form a cordon, while white colleagues were inside, watching TV. "We were treated like dogs that night," Mr Campbell said. The force asked Sgt Sarah Cashman to look into complaints about unacceptable behaviour, which her report has stated took place over "a prolonged period of time". Among claims of racist language were an allegation that one officer said: "Stick by me and we will bring down all the lazy blacks, one by one." Documents given to the tribunal also include allegations of homophobic abuse and intimidation among staff. Asked about Mr Saeed's allegations last week, the force's new commissioner, Sir Paul Stephenson, described them as "appalling", but said it was not clear when they began. "If it did take place it is appalling, and if it was known about, I want to know what was done about it."